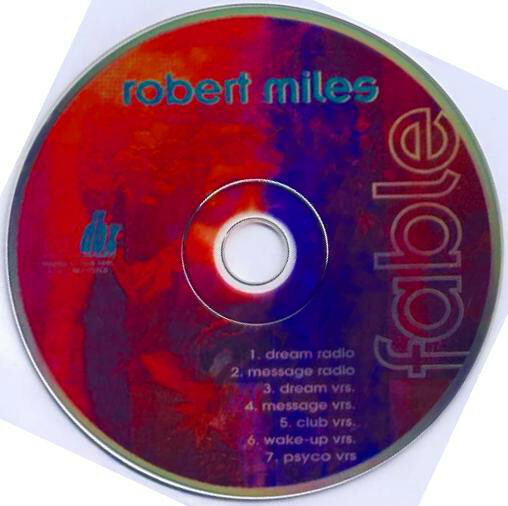 Radio DJ ONE (Dance & Trance .:d-_-b:. ): Search trance to Oldies But Goldies to the best trance radio online! 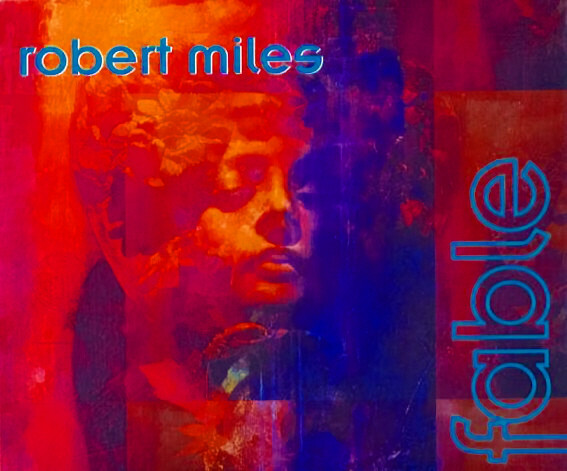 Search trance to Oldies But Goldies to the best trance radio online! Search trance to Oldies But Goldies only at Radio DJ ONE (The Only Trance For You) to the best trance radio online! 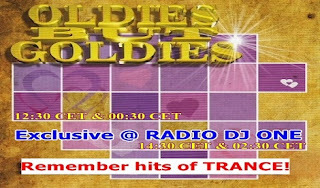 From date 22.05.2017 to 28.05.2017 we have a track old classic trance listen and search trance to Oldies But Goldies only at Radio DJ ONE (The Only Trance For You) to the best trance radio online! In this show is present everyday at the same hours after 12:30 CET and after 14:30 CET and replay after 12 hours, so after 00:30 CET and after 02:30 CET for America Time Zone, one track in old classic trance what is change it in everyweek. For you remember the best hits in classic trance, listen and search trance to Oldies But Goldies and try to discover what old track in trance play everyday at Radio DJ ONE (The Only Trance For You) to the best trance radio online! 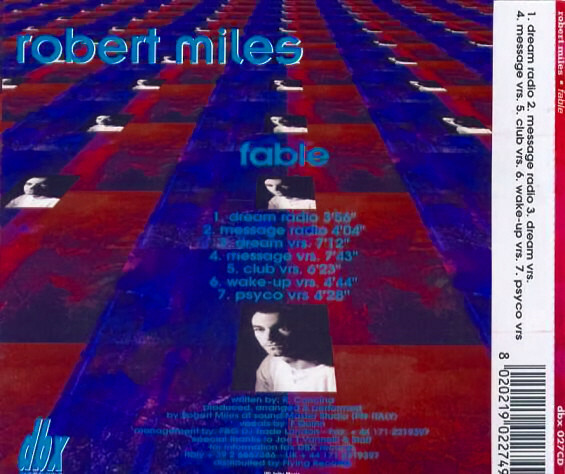 In the last week, 15.05.2017 to 21.05.2017 was in the radio show Oldies But Goldies, a nice and the best track in classic trance from year 1996 the single Fable (Message Version)(1996). 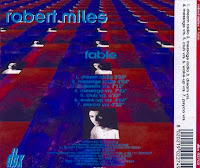 This track was produced and released in 1996 by the Robert Miles was a pseudonym used by Roberto Concina (born 3 November 1969, Fleurier, Switzerland – died 9 May 2017, Ibiza, Spain) a Swiss-born Italian record producer, composer, musician and DJ. Born in Switzerland his family returned to Italy when he was a boy to live in Fagagna. 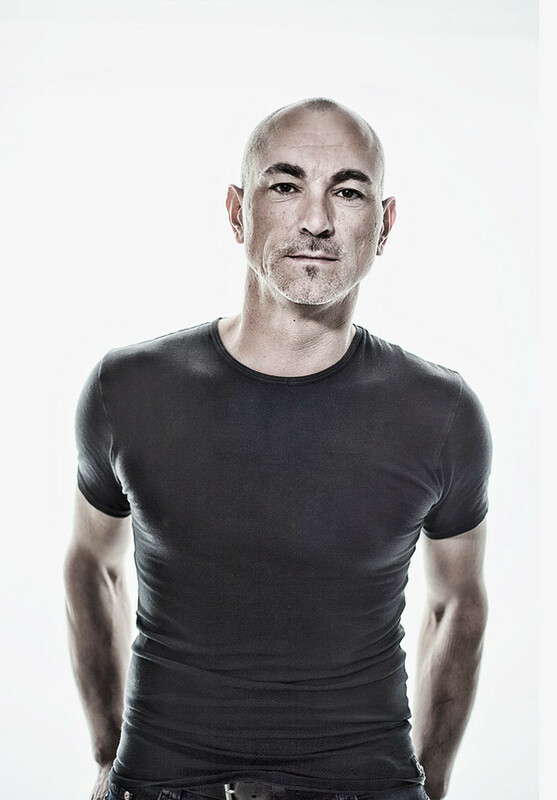 He spearheaded the "dream-house" sound in the mid-1990's with his worldwide hit single "Children" and the subsequent album "Dreamland." He founded S:alt Records. He was managed by Gavino Prunas. Join us! for listening the best sound in trance, for listen and search trance to Oldies But Goldies only at Radio DJ ONE (The Only Trance For You) to the best trance radio online!